Important Disclaimer - 1st edition Advanced Dungeons & Dragons is a masterpiece. It is still one of my favorite RPGs and is one of the most important games ever published. Because of my love for the game, it would be too easy for me to come up with 101 things I like about it so I am challenging myself by trying to come up with that many complaints about it. This does not reflect any animosity toward the system, rather the opposite. Even the two examples given in the DMG, thieves' cant and the Latin of the medieval Catholic Church, are highly flawed examples of secret languages that might be similar to alignment languages. First there is the obvious problem that these real world examples were connected to occupations and not alignment giving them logical ways to be learned (e.g. during apprenticeship or initiation). No one has ever in fantasy or real life apprenticed to be Chaotic Evil. And, of course, these real world languages had no alignment restrictions. If a priest had a change of heart and stopped being good, he would not suddenly forget Latin. Also neither language, especially Latin, ever kept completely secret. With no comparable real world examples, we must try to come up with a reasonable explanation of how such languages would be acquired. Parents could not teach their children because children often grow up to have a completely different ethos than their parents, who may not themselves be perfectly aligned with one another. Apprenticing for an alignment or being initiated into one might make for an musing short story, but is too absurd for a game or novel (the willing suspension of disbelief on goes so far.) This leaves only the "will of the gods" or some other other deus ex machinato save this hopelessly irrational concept. Unfortunately, there is no reason for gods to magically intervene and cause every person of a given alignment to speak that alignment language. The languages' uses are limited at best and assassins ability to speak different alignment languages (PHB page 29) undermines even them. Why would deities go to the effort of instilling this language upon some, but not all, members of an alignment for an alignment that can't be spoken in public without repercussions nor used elsewhere unless one is already certain of the listener's alignment? (DMG page 24). And the DMG strongly implies that this is not how it is acquired (ibid.). So without any logical reason for alignment languages existing in a game would, there must be some indispensable game function such as balance for them, right? Unfortunately not. The most obvious uses might be to test the alignment of a possible recruit or to give commands in combat. The first is allowed, but the fact that assassins can speak alignment tongues makes it untrustworthy and the latter would not work because the vocabulary of alignment languages are limited to "the ethos of the alignment in general" (ibid.). Even if they were useful and had a logical way of existing, I would still not care for them. They take something that should be abstract and subject to debate and place a layer of absolutism on it. Players should know their characters' alignments but he characters probably should not. Even paladins should likely consider themselves to be "good" and not say "lawful good." It's just that they consider the lawful good ethos to be pure good and any deviation toward either chaos or evil to be less good at best. 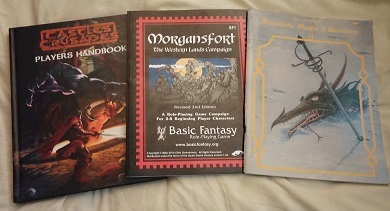 So let me reemphasize how much love first edition and respect its creator before positing that alignment languages are not just one of the worst ideas of any edition of D&D, not just one of the worst RPG ideas not in F.A.T.A.L., but easily one of the top 1% of bad ideas in imaginative literature. A nearly complete rough draft of a "new" monster. One of several monster types that can lay claim to the children's term "boogeyman," a coco is a natural shapechanger that was first created by a sadistic demon lord to inflict suffering on lawful and good parents. This typically human sized monster is usually covered in loose fitting, hooded robes that cover most of the creature's face. In this form, only glimpses of the its face are ever seen, nearly always a human or horse skull. Whether this is its natural form or a preferred shape to inflict terror is unknown. This shapeshifting, child killer is bound by a strict set of rules. It can only attack children who have misbehaved recently or are in the process of misbehaving. Being lawful, it interprets "misbehaving" as breaking any rule set down parents or other adult authority. Being evil,it delights in punishing the slightest infraction, regardless of rather there was any intent to break a rule. And being of low intelligence, it often confuses halflings and beardless gnomes with human children. It is this last tendency that is most likely to bring it into conflict with adventuring party. If it observes any halfling or beardless gnome "disobeying" what it perceives to be a parent (any adult human, dwarf, elf, etc.) it will attempt to kill and consume the "child." If possible, it will attack when its target is alone, but will attack its prey even in the middle of a crowd if necessary. While the Coco can shapechange, this gives it neither advantage nor disadvantage in combat. Only if it changes into something large size will there be any effect and then only if the gaming system allows different weapon damage on large creatures. Its reason for shapechanging is to inflict additional fear. Any creature hunted by a coco or coming between it and its prey must save vs magic or be subjected to a fear spell. A coco has no lair, forming out of nothingness as the sun sets each night and fading into nothing at the sunrise. It cannot be permanently killed as killing it only causes it to fade away and reform the next morning. However, characters need not fear it seeking revenge as it never remembers the past day. It exists only to kill and consume disobedient children and has no treasure. It will those that get between it and its prey but will not consume them. A female coco is called a coca, but is in all ways identical to its male counterpart. All monster statistics are Open Game Content, including, but not limited to, the stat block from “frequency” through “source.” All references to spells, and other preexisting open game content referred to in the text is Open Game Content. A few thoughts about some new arrivals that I have had time to skim, but not thoroughly read. All are quite different, but each is interesting and worthwhile in its own right. For Quest of the Ancients, a somewhat AD&D like game, this 80 page booklet contains new monsters and magic items for that game. At a glance, the monster section is mildly interesting, though many appeared earlier in 1e behir (MM2), black annis (annis MM2), cat, faerie (elfin cat MM2), centipede, giant (MM), etc. Many of the new creatures are interesting enough, some would be worth converting to whatever system you are using. There is only limited art in this and though the art is mostly well drawn, much of it transferred poorly and looks like an old photocopy. Just by reading a few of the magic item descriptions, I've come the conclusion that this section is a goldmine for any GM. Well thought out and described , these items would work in most campaigns. I should mention that this is the only RPG item that I've ever gotten by accident. I ordered Monsters, Magic & Sorcery I but the seller had mislabeled it. Still, it's a keeper. Guns, Germs, and Steel (1997) by Jared Diamond would certainly would seem an odd choice for an RPG blog but it raises interesting ideas that could serve as inspiration when populating a newly created world (or newly discovered continent). In this book, Diamond posits the idea that the availability that large animals that easily domesticated and of good grains and pulses in an area is the primary determining factor in the rate at which societies transform from hunter-gatherers to settled food producers. He also argues that this allows for much higher population densities and the specialization of labor, two factors critical for the development of technology higher than stone-age tools. Diamond also shows technology spreads through diffusion to neighboring societies in inverse proportion to their degree of isolation. Interesting enough, but how can this be useful in a role-playing game? While this idea would certainly be of very limited use in an ongoing campaign, However, these theories about the distribution of technology can aid a game master in world creation. If a world in which the technology levels are relatively even, then the GM can assume a widely diverse group of easily domesticated grains and pulses grow on each continent and that there are also large, easily domesticated animals on each one. Without both of these, a society would advance much more slowly and have less incentive to move away from a hunter-gatherer lifestyle. For example, lets say that a GM has an ongoing campaign and wants to add a large island (roughly the size of New Zealand's North Island) on which there are the ruins of an ancient civilization and living dinosaurs. The GM has located this island roughly half-way between two large continents, one with a medieval European style society, the second with a medieval Asian style society. The GM wants there to be people on the island to be able to lead the characters to the ruins, but doesn't know what there society should be like. First, the GM should determine how isolated this island is. In this case the island is extremely isolated with it lying outside the shipping lanes between the two continents, which are rarely used. Because of this, the inhabitants of the island will have been limited to whatever technology they brought with them (almost certainly good stone age technology) and what they developed there. Next, following Guns, Germs, and Steel, the GM should look look at potential food sources. Because there was a civilization developed enough to leave ruins behind, there was very likely at least one good grain or pulse available, but the size of the island makes it extremely unlikely that there were many. As for there being large easily domesticated animals, the obvious answer is no. With the island being home to dinosaurs, no large mammals or birds are likely to have evolved leaving only the dinosaurs which would been far to aggressive to domesticate, though a few may have been a few charmed or even tamed. This leaves us with a civilization that at its peak was depended upon a very limited number of grains (likely supplemented by fruits and vegetables which are great but don't store well) with no large mammals. While there may have been a few chickens, hunting will have likely been the main source of meat. The lack of large mammals to pull plows, carts, etc. and the reliance on hunting would make the society more labor intensive and allow for fewer individuals being able to specialize in anything other than food production/gathering. Fewer specialists means much slower development of technology. This society, while advanced enough to leave ruins, was very unlikely to have advanced beyond stone tools (obsidian if the island is volcanic) and beaten copper jewelry. From this we have an isolated society that in some ways may have resembled the ancient Mayans. This leaves two important questions. How did a stone age civilization arise on an island overrun by dinosaurs and why did it fall? The first, although it would be utterly impossible in a mundane world, is easy in a fantasy world. Magic! Only if the inhabitants had powerful magic when they arrived could they ever advanced beyond terrified hunter/gatherers living in caves to avoid the larger dinosaurs. Interestingly, the game system being used might make a difference here. In most old school systems, this would mean that the society was literate and that there will likely be magic scrolls (not necessarily rolled or on paper), spellbooks, maps, glyphs, etc. for treasure. However, if the game system allows sorcerers, there is no absolute need for literacy and it would be completely up to the GM to decide. Regardless, this means that these ruins will likely have many magic items and magical traps, but only simple mechanical traps. For the second question, Guns, Germs, and Steel and Mesoamerican history provide the easy answer. Crop failure. Being dependent on a single grain, a society could not survive it failing for a few years. At some point in the distant past, a crop failure occurred, likely a crop disease that greatly reduced food production. As the people starved they turned against their magic user leaders and slaughtered them, and in the process left their civilization defenseless against dinosaurs. The few survivors would have had no choice but to adopt a hunter-gatherer lifestyle going wherever the food was and learning how to avoid the dinosaurs. When the characters arrive, they will find an extremely primitive people who have become experts in stealth to avoid being eaten. They will know where all the ruins are and know which ones are safe to hide in and which are dangerous (magic traps, undead, etc.). 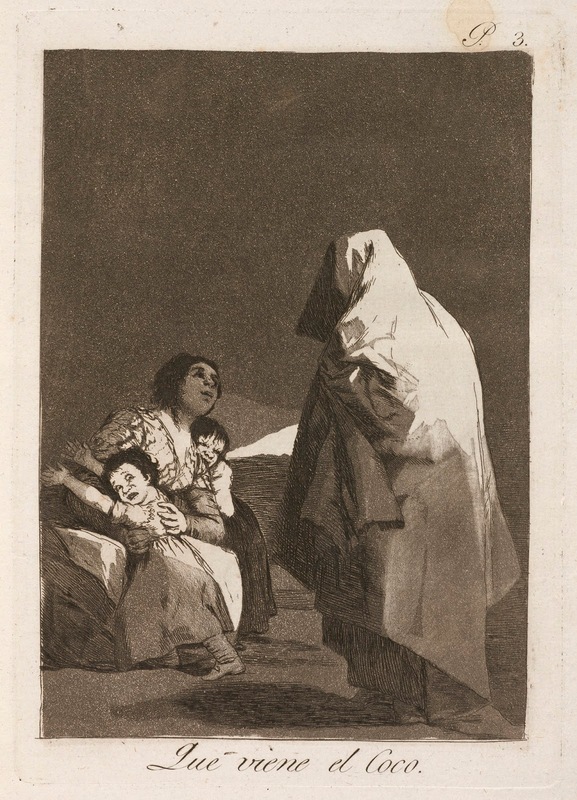 One complication that might cause distrust between the characters and the locals is that they will have far less resistance to disease than the characters and anyone who accompanies them (sailors if they arrive on a ship). Because most dangerous diseases have their origins in domesticated animals and the locals have not been exposed to them for millennia, if ever, they will not have the resistance that people from more developed societies (the characters) have. And although primitive, the locals are not stupid and will draw logical, though wrong, conclusions. Strangers arrive, we help them, we are struck by a curse, therefore the gods are angry that we helped them. From just a few very basic concepts, isolated but inhabited island, dinosaurs, and ancient ruins, Guns, Germs, and Steel has helped to flesh out the beginning of what could be a fairly original and logically consistent adventure or campaign. This book was both a best seller and a Pulitzer Prize winner, which means that it will be available in most libraries for the frugal game master. It's been far too long since I posted anything and hope to be a bit better in the future. I'm currently working on the sequel to PO-1: The Stolen Child which is taking far loner than I had hoped. In the meantime here's a new Old School Monster. This seemingly minor nuisance would be viewed as just another breed of giant rat, of which it slightly smaller and less intelligent than, if it weren't for two unfortunate qualities.The first of these is the more obnoxious. At the start of every encounter, a germican stench rat will release a cloud of gas that exactly duplicates the second level magic user spell stinking cloud, except the range is zero. This sulfur-smelling cloud is full of germs and has a 5% chance of infecting anyone within its radius with a serious disease(as a rat bite). A successful saving throw versus poison prevents infection. The annoying pest has survived not by its wits but by its unusual charm abilities. 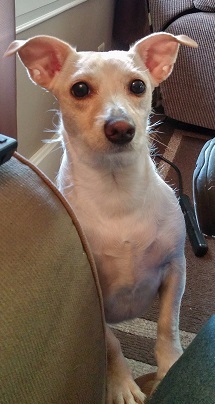 For some mysterious reason, sentient beings with intelligence scores less than nine inevitably mistake it for a small dog and beings with wisdom scores less than nine tend to find it cute. Either of these makes a potential victim vulnerable to the stench rat's charm ability. If the potential victim fails its saving throw, it will find the rat "adorable" and adopt it as a pet. At first this might seem relatively harmless as the stench rat is naturally tame. However, the stench rat is a lousy companion in a dungeon. At the slightest noise, the germican stench rat will begin growling and making a loud annoying sound that vaguely resembles high pitched barking, making surprise impossible. Even worse, the stench rat's gas cloud is not completely under its control and there is a 1 in 12 chance of it accidentally gassing the party each hour. And in the event of an encounter, it will forget that its new friends aren't immune and will launch its gas attack immediately. Due to its insanity, a stench rat never needs to make a morale check or save vs fear, though it enjoys antagonizing dangerous monsters then "hiding" behind its owner. If taken home the stench rat will have its 1 in 12 chance of it accidentally gassing and it will reveal another unfortunate characteristic, its tendency to destroy any paper product it can find. It especially likes scrolls and spellbooks and left unsupervised will chew them up. Any unsupervised germican stench rat will have a 10% chance of destroying one of these each hour. Only if there are none in the house or they are all magically secured will they be safe. If the stench rat destroys something especially important to the owner, such as a spellbook, it is allowed a new saving throw against its charm. Sages are uncertain as to the relationship between giant rats (Rattus Sumatracus) and germican stench rats (Rattus Peeyewicus) but suspect the latter are descended from an especially smelly subgroup of the former. They have no value. Everything between the lines, except the photograph, is released as open game content. 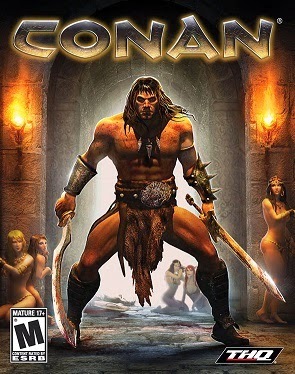 The photo is not open game content. There is no additional product identity. 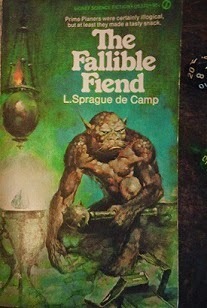 The Fallible Fiend by L. Sprague de Camp is a 1973 book, expanded from a slightly earlier version published in Fantastic.It recounts the misadventures of a quite likable and philosophical "fiend"named Zdim. Summoned for a year's servitude to the prime plane in exchange for some iron ore, which is very rare on his home plane, he soon comes to trouble because of his tendency to follow orders too literally and his difficulty reconciling seemingly conflicting instructions.. For example, Zdim is instructed to eat anyone trying to steal items from an area he is guarding, but later he and his master become vegetarians. When a thief eventually does try to steal something, he doesn't know if he should eat him or not because doing so would violate his instruction to be a vegetarian. In his travels, he encounters some rather unlikely societies and adapts to them the best he can. He finds himself facing various amusing obstacles and foes and just before the joke gets old, the book ends. Old School Credentials: Fairly strong. It is listed by name in the first edition Dungeon Masters Guide's Appendix N: Inspirational and Educational Reading. It is also a possible source for the concept of a prime material plane (Referred to as the "prime plane.") and may have had some influence on the clairvoyance spell and crystal balls. The Good:The book is what it's meant to be. It's fun, mildly amusing, and a reasonably engrossing read. The main character is amusingly sane in an utterly insane world. And being on the " Inspirational and Educational Reading" list mean it offers insight into the early influences on D&D/AD&D. The Bad: This is very light reading and won't likely be remembered years later. It's a bit short by contemporary standards. For the larcenous GM: All things considered, there is surprisingly little that could be adapted into a normal campaign. A few ideas, such as having to deal with both a "drunk council" and a sober council to convince a group of barbarians to help the adventures could provide a bit of comic relief. The story's main villains, the Paaluans, a society of naked cannibals that includes magic users using human bones as wands, but are otherwise quite civilized and even philosophical, could make a very surreal addition to many worlds. Because the book is rather successful at being silly fun, its uses as source material are necessarily limited unless the GM wants to run a very non-serious campaign. Overall: I really liked this one. It was exactly what it set out to be, a fun, entertaining little romp. While short compared to most books today, it knows when to quit (another hundred pages would have caused it to drag). The Fallible Fiend book is very good but not quite great. I'd probably give it an A-. 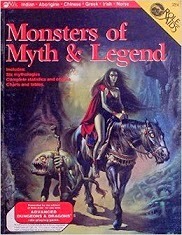 Monsters of Myth & Legend is a 1984 monster book published by Mayfair Games, under the Role Aids label. It contains roughly 80+ pages of monsters compatible with 1e AD&D. It contains creatures from six very different mythologies (Native American, Australian Aborigine, Chinese, Greek, Irish, and Norse). These monsters are treated in more detail than those in many early monster books and each have their own individual feel. The book is organized much like Deities and Demigods in that s organized by mythology rather than all mixed together. Old School Credentials: Because it is an AD&d (1e) compatible product published in 1984, it's automatically "old school" to me. The Good: The internal art is quite good, with the mischievous fox spirit and wise-looking monkey spirit being a couple of favorites. This is a monster book and most of the monsters are quite interesting. For example, he Chinese section's Roc Demon is too powerful too add to a campaign, unless it is on a far away continent. But a monster that is so powerful that it warps the very nature of the planes in a 500 mile radius and can permanently destroy a target's magic using ability, has potential as an ultimate opponent for a campaign, or it could be used merely as an easy, though terrifying for magic users, means of traveling to the outer planes. The other monsters in the book are less powerful, but are mostly very intersting. The Bad: The print quality is inconsistent with some pages suffering from extremely bad bleed through. About 5-10% are seriously marred by this, the worst I've seen outside of cheap newspapers. Some of the monsters will be very difficult to use in most campaigns. For example, the White Elves / Black Elves from the Norse section are just the classic Elves (High, Wood, etc.) and Drow in rawer, mythological, not modern fantasy, interpretations. Making them fit with the modern interpretations would be challenging, likely relegating them to alternate worlds or planes, at best. It's not the fault of this book, but a few of the Chinese monsters have since gotten "official" versions in Oriental Adventures, which came out a year later. The "animal spirits" of MoM&L and the Hengeyokai of OA clearly share the same origins, though they are quite different interpretations. Likely Use: This monster book is likely to used two different ways. First, like the Fiend Folio, there will be a few monsters that the purchaser loves, but most will be largely unused. However, because each section is based on a specific mythology, it is invaluable to any campaign set there. For example, if I were starting an OA campaign, I would certainly use the monsters from the Chinese section. Value: Like any used product, the value is likely to vary greatly. I paid less than $12 for my copy from Amazon earlier this year. Today, the cheapest I could find in good or better condition is $16 (counting shipping). At $12, it's a pretty good value, at $16 it's still a fair deal. Overall: I love this one, but I'm less certain that someone who isn't especially fond of comparative mythology would like it. It has many interesting monsters, but some would be very difficult to integrate into a typical D&D world. For me this book is an A, but I fear that most people would give it a B or C.
Return to Quag Keep by Andre Norton and Jean Rabe (mostly Rabe) is a 2006 sequel to the classic D&D novel Quag Keep by Andre Norton. This book continues the story of a group of a group of real world gamers who find themselves in their characters bodies, with their memories constantly shifting between character and player. In Return to Quag Keep they are trying to find a way home and trying to find out why they were brought to the world formerly known as Greyhawk. Old School Credentials: Return to Quag Keep is a sequel to Andre Norton's classic 1978 book, Quag Keep, the first D&D novel. As such, its connections to old school gaming are strong, even though they aren't evident in book itself. The Good: The book is well written, the story flows well, and there are a couple of good ideas in it. The Bad:While not the abomination that some reviews make it out to be, Return to Quag Keep has numerous flaws. Perhaps the worst flaw is the lack of a setting. Quag Keep was solidly set in The World of Greyhawk, although a less defined pre-1980 folio version. For whatever reason, this novel does not, likely could not, use the Greyhawk setting, but doesn't create a new one either. Because of this insistence on being generic, the reader will get sick the words "the city" faster than I would have imagined possible. Whenever Rabe breaks away from this genericism, the results are good, but it happens all to rarely here. It's obvious that a few of the original characters weren't to the new author's taste as one is killed and two are sent away for virtually all the book. This, along with the generic setting, makes the book seem even less like a sequel than it should. Another minor annoyance is the excessive overuse of "modern" music such as Danny Boy and She's Always a Woman to Me and the nearly non-stop reference to real world locations gets old very quick. Without giving away any spoilers, I will just mention that the ending is the worst problem with the book. The book ends with the characters in a new predicament that would have likely been the focus of the third book in the series if it had ever been written/published. There are a few other problems that other reviewers have noted that I'm willing cut Rabe some slack on. A few critics have had conniption fits over a minor spelling change in the name of a tertiary character ("Afreeta" vs "Alfreeta"). Considering that Rabe based the story, at least partly, on notes from a respected, but elderly, author who misspells Wollheim in the introduction, a little tolerance is in order. (Even the original had spelling issues as "Harvel's Axe" is "Marvel's Axe" on the back cover). And the personalities of the characters are very different than they are in the first book. However, this can be rationalized by the fact that their game personas are somewhat dominant in the first book, while their real world personalities are in nearly complete control in the second. Value: It's tough to put a value on a used book, but with the book available for $4 ($.01 + $3.99 shipping) from Amazon, I call it a poor value. It's just not that good a story. However, if like me, you want it as much for a collection as for reading then its a decent value. For the larcenous GM: Surprisingly there is a bit here that could be used to enrich many RPG campaigns. Glothorio, the god of coin gatherers, and his tattooed priests could certainly be added to most worlds. As a minor deity, he could certainly add a bit of flavor and the tattoo/sigil magic that they use in casting their clerical spells is interesting. There are also a couple of interesting magic items that could be put to better use than they are in this book. Overall: Even if you aren't expecting much, this book is likely to disappoint. Removing the setting just sucked the magic completely out of this book. * I can only give this book a D. Only Rabe's competence at storytelling saves this from being an F.
*Yes, that is a reference to something in the book. The Basic Fantasy Role-Playing Game is in their own words a "rules-light game system modeled on the classic RPG rules of the early 1980's. Though based loosely on the d20 SRD v3.5, Basic Fantasy RPG has been written largely from scratch to replicate the look, feel, and mechanics of the early RPG game systems." The Basic Fantasy Field Guide, is a collection of additional monsters for The Basic Fantasy Role-Playing Game, is similar to the Fiend Folio, QuasarDragon's own Treatise of Twisted Terrors, and numerous other monster books. It adds additional monsters to the Basic Fantasy Game, mostly classic D&D monsters, but some are new. I'm not going to o into too much detail here because both of these are available as free PDF downloads HERE. However, I do want to strongly recommend the print versions if you like what see in the PDFs. The production quality if far better than you would expect for such a cheap price. Old School Credentials: The Basic Fantasy Role-Playing Game is very much an "old school revival" game system, feeling a bit like a streamlined, compromise between the old Holmes Dungeons & Dragons Basic Set and 1e AD&D. The Good: The game just feels right. It is a good introduction to old school gaming and it has enough depth for a decent length campaign. The art ranges from charmingly amateur to good old school style. 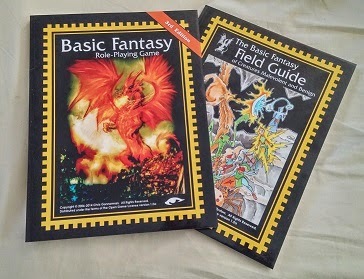 The Bad: There's not really much new, there's no label on the spine of The Basic Fantasy Field Guide, and much of the the art will not be to everyone's taste. Likely Use: While more experienced gamers are very unlikely to make this their game of choice, it is an almost perfect for new and casual gamers. This would make a good, cheap gift to a potential gamer. Value: Exceptional! I just purchased the the print versions of these two for a combined total of $7.68 from Amazon! That's probably even less than the Holmes D&D would have cost in 1980 and unlike that one, this doesn't stop at 3rd level. The binding and print quality are about the same as the typical softcover game book, which makes the value even more shocking. Overall: This is an easy A. Even if you just skim it and put it on a shelf, it's a bargain. It really captures the spirit of Basic D&D, but has enough detail for a lasting campaign. It has been a rough few months here at QDG, but things are finally back to normal (I hope.). The fifth QDG product, PO-2, is about halfway finished and allowing for play-testing, should be available sometime in February. The module that was to be FM-3 was a seasonal adventure and has been delayed indefinitely. However, there will be more FM series adventures before then. As for the blog here, posts are resuming, but it has a been a bit too long of a delay to continue the section by section review of 5E D&D. As of now, there are four QD products available, three of which are pay what you want. Two these have been reviewed elsewhere and links are provided to the full reviews. 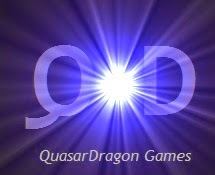 The first QuasarDragon Games product is collection of 70 new and re-imagined monsters for your OSR games. Currently only $2. "At $2, this is really a steal. A" - OSR News and Reviews. "like something the should have appeared in an early issue of Dragon magazine, a ten page concise adventure module that centers itself on the challenges that surround and center on Baba Smerta & her domains [...] makes excellent uses of its elements, themes, and more to really give a unique and some what unsettling old school adventure" - Swords & Stitchery. FM-2 The Tomb (or Temple) of Asibare. And finally, there is some very minor errata. 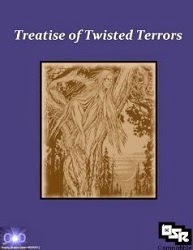 Errata: Treatise of Twisted Terrors, The Stolen Child, and Baba Smerta all should read "advanced version of the game" instead of "classic version of the game" in the boxed text of their title pages.